William & Mary’s High Performance Computing (HPC) Group now offers greater capabilities than ever, thanks to new talent and new hardware added this year. Eric Walter, Ph.D., previously of the William & Mary Physics Department, has moved to Information Technology along with the Center for Piezoelectrics by Design (CPD) computing cluster, which has been repurposed to support academic and research computing pursuits campus-wide. The CPD computing cluster is comparable in scale and computing power to the College’s SciClone cluster, and until recently has been dedicated to physics research. For the past twelve years, it was managed by the Center for Piezoelectrics by Design in the Physics Department and housed at the Applied Research Center in Newport News. The project was funded by a grant from the Office of Naval Research awarded to a team of researchers led by Henry Krakauer, Professor of Physics. When the stream of resources ended at the beginning of this year, the CPD cluster remained at Krakauer’s disposal. In order to maintain computational capabilities without dedicated funding, it was decided to consolidate the CPD cluster's operation with that of the existing SciClone cluster. The consolidated systems now exist under the HPC Group in IT. To reflect its new status, the CPD cluster will be renamed “Storm” and will be available to the entire W&M research community. Work is currently underway to integrate it more fully into the existing HPC software and networking infrastructure. As its hardware ages and becomes obsolete, CPD/Storm will be gradually phased out in step with expected upgrades to the SciClone cluster. Although there are challenges associated with the merger, the end result will be an increased ability to meet the College’s diverse computational demands. As part of the HPC reorganization, Walter joined IT in March 2013 as the new HPC Applications Analyst. He replaced George Ruddy, who left W&M for a position at Microsoft. 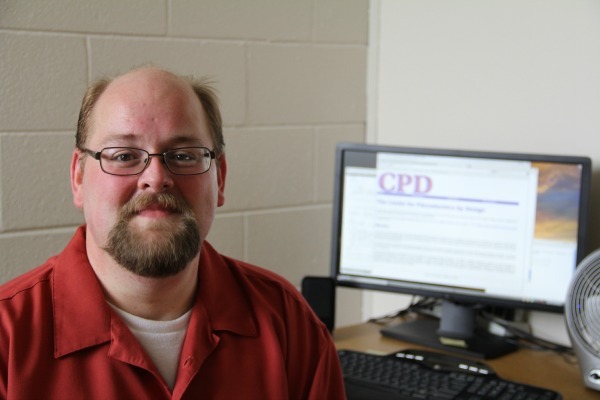 Walter played an indispensable role in the CPD organization, serving as a researcher, application programmer, system architect and system manager since its inception—a background that is vital in maintaining the use of the CPD cluster in the future.